It's not a destination, it's a journey! I know in the times of the great depression, Dandelion greens were a commodity and delicious treat...and I also know that some people love dandelions in their yard (like my hubby)...but I for one do not love them. I don't want to eat them (unless I was starving), I don't love the yellow weeds against all the pretty green that much, and I certainly don't want to step on a bee that is enjoying them, just to be stung! "I do not like them Sam, I am!" 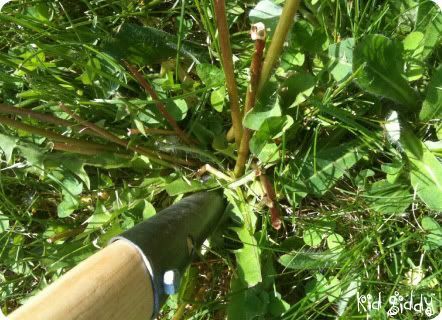 So folks....in my neck of the woods - I am attacking the dandelions one by one. 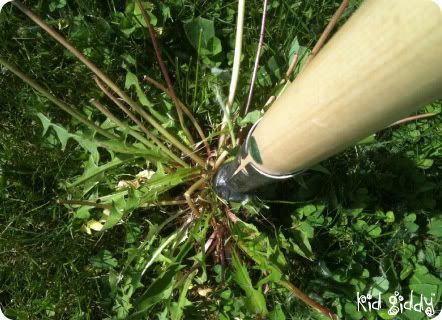 I'm removing every dandelion in my yard until there are no more! We kind of missed the spring cut off to use some chemical free dandelion killer (in the form of making my grass less sweet or something)...so we had to go to plan B....The coil! Oh my heavens - I LOVE this thing. 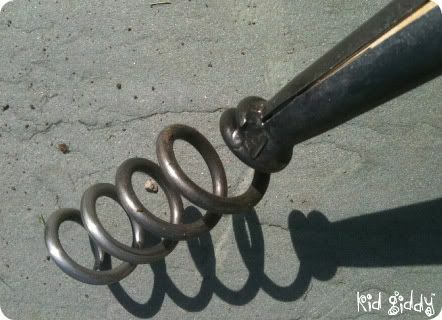 It is for sure a work out, and if you have a slightly bad back - you should be careful and forewarned (from all the bending forward) - but this coil - dandelion remover - makes my heart sing! 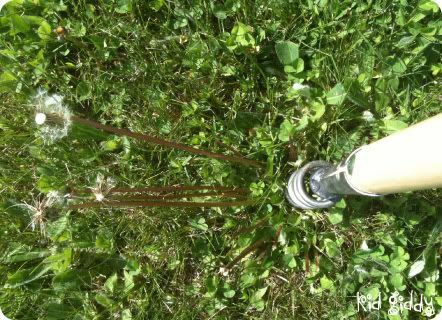 I really have no problems ripping these things out from their core root systems and reseeding with grass to kill them! I can assure you I have not been paid for this post - to mention this tool or market and I can assure you I paid a pretty penny for the tool itself - but I've been searching the internet for all my options and never found this one! 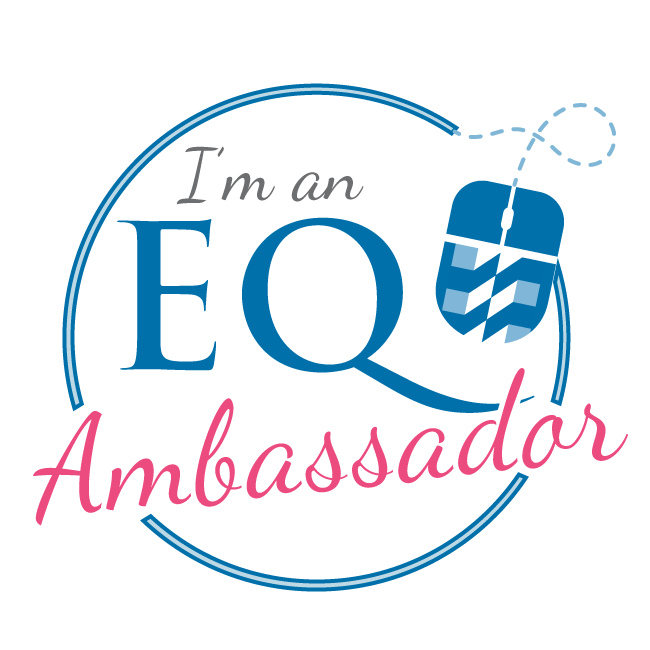 So I share it now with all of you! Hopefully you can find one in your area - otherwise you'll have to call Highland Farms Market! 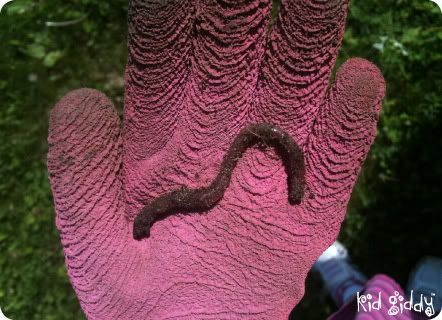 Oh - and I guess we have some really good soil - because we have a ton of these little slimy critters! I think I found one worm for every 3rd weed I pulled up! That's not shabby, so if you need any for fishing - just let me know! lol! 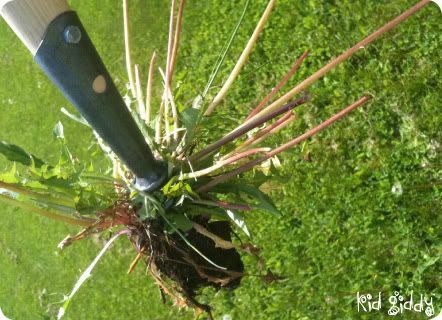 I have way more dandelions to go - but 2 bucket fulls have already made a significant difference! YEAH - isn't it so exciting?! Have a great week! 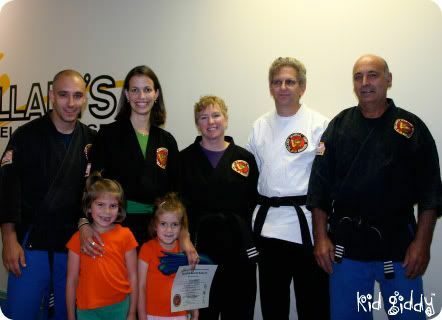 Almost 3 years ago (in late August) I began taking karate classes. 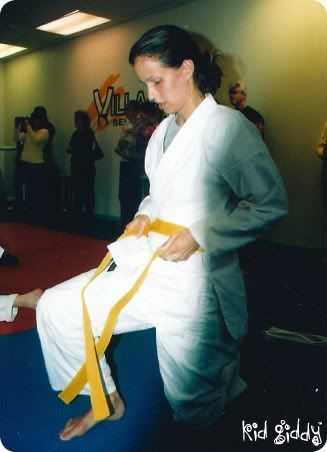 I can't recall exactly when I had this strong desire to begin such a daunting sport in my early 30's, but I had wanted to learn some form of martial arts for as long as I can remember and the desire was only getting stronger! 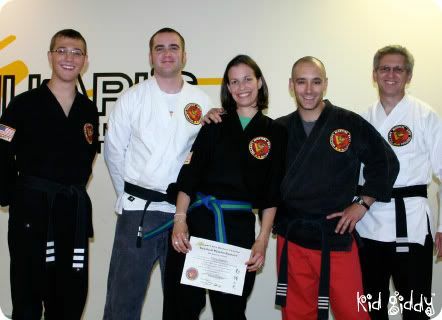 When I started I thought it would just be enough to have a Black Belt and then move on. 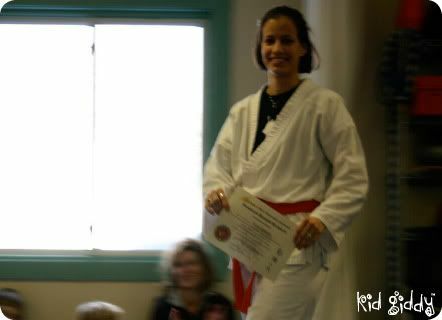 As I have traveled this road however, I have quickly found (and been repeatedly reminded in class), that "karate is not a destination it is a journey". 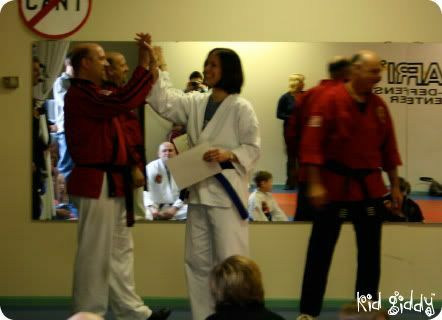 And so a black belt in the end, won't be enough. I'll keep going. 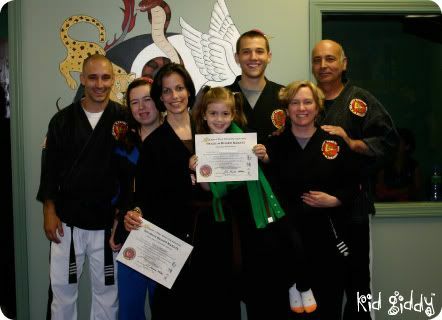 I'll get as many stripes on my future black belt as I can. I've pondered on this thought for a couple years now, applied this concept to my life. 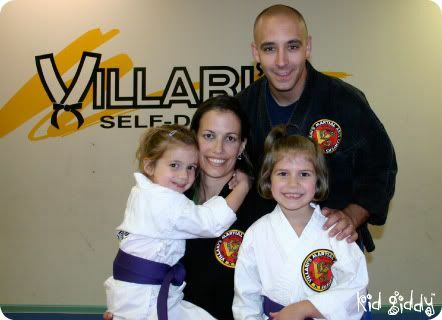 From all aspects of my life as a mommy, my spiritual life, and my business as well...it is all a journey. Since beginning on this path of being an inventor and entrepreneur, my business has seen many alterations. I've ripped my business apart at the seams and re-sewn it. I've changed a straight line to a curve and it will continue to change. 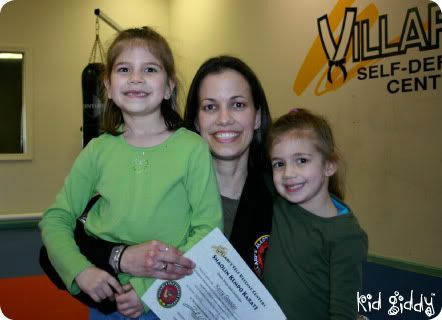 Recently I have thought of all the changes my little "kid giddy" company has gone through. Not knowing where kid giddy will be in 5 or 10 years, it will be interesting to see this list of where I've been, where I am now...and where I'd like to go in comparison! I had this grand idea that I could single handedly, get my Tuck 'n' Go into some major retail stores with 'some' effort. As I progressed along the manufacturing path, it became increasingly difficult and dollar signs were lingering in my eyes, even when closed. The fear of losing money like I did trying to sell Mary Kay makeup years before, paralyzed me. I also knew i didn't want to manufacture in China or anywhere overseas! Looking back is always 20/20! I certainly had not yet learned of all that I "didn't know then, but I know now". I'm glad I didn't go that route. It may work for some, including you, but luckily I was guided as I prayed and saved thousands of dollars! After letting go of the idea to sell to all the 'major retail stores' dream...I decided to find a way to get my goods online and sell them on a more personal level. That's when I discovered Etsy. I felt like I had missed the boat on Etsy (everyone was already selling) - but it was only getting bigger - so I figured I'd play the catch up game. Luckily it worked. It would've been great to say I've sold out of my Tuck 'n' Go's, but that is not the case. 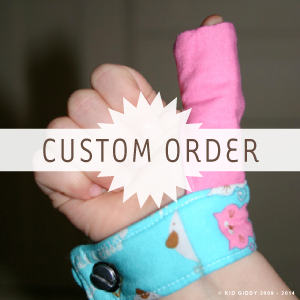 Surprisingly instead, I've sold over 200 of my thumb guards, and hope more of my other goods will become just as popular. But self manufacturing is hard. You have to commit to the time it takes to make each item. You will have inventory when some things don't sell and you have to stay fresh and current. I think for now it is something I will continue to do, so long as it doesn't interfere with new opportunities and my family. I love this part the most - maybe because it's the most current adventure - who knows?! 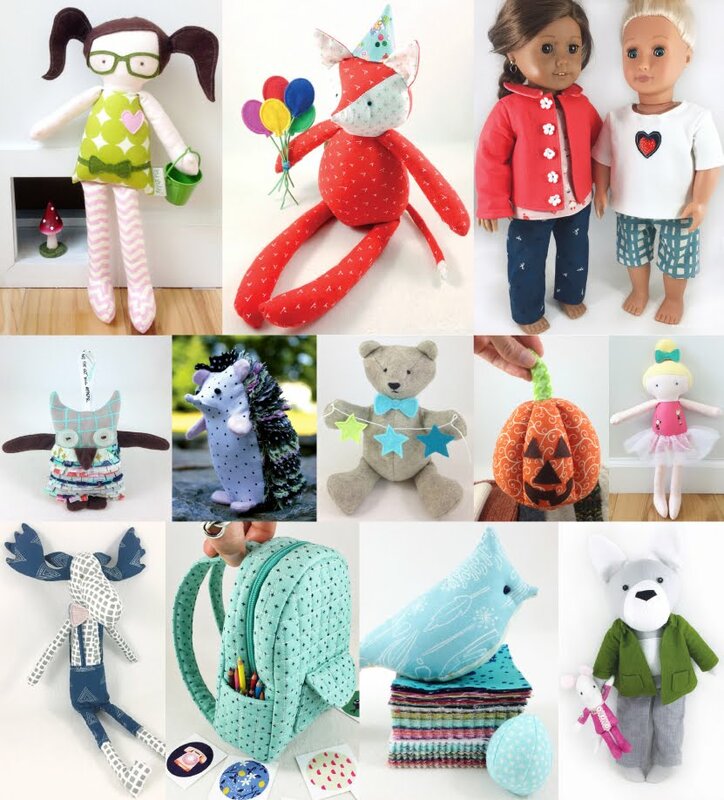 About this time last year, I was looking online for pattern drafting books that taught something other than apparel - they were hard to come by. 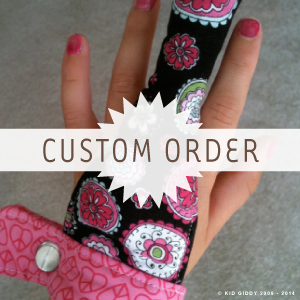 I was so afraid I was going to write up my patterns the wrong way or miss something because I am self taught and lack the education of a seamstress. I quickly threw the fear aside, feeling this was a challenge I was willing to overcome. After all, I am in this for the journey. In a sense - that means I am here to learn and grow and keep going. And so I will. 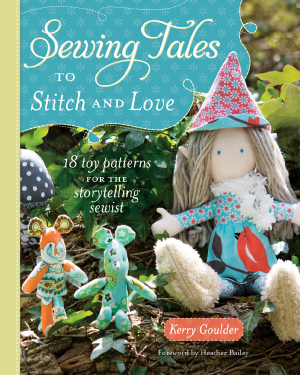 I know what I'm working on next...(but can't say)...and I do know that I want to write a book and share many many more of my sewing patterns, and even children's books that are brewing in my head, but that is all in the future (the very near future)! Regardless, that journey will be written another day. For now I will enjoy this journey. I will find joy in each day. Otherwise - what is the point of it all? I have come this far and will keep going. (it's still me - I cut my hair again to donate!) 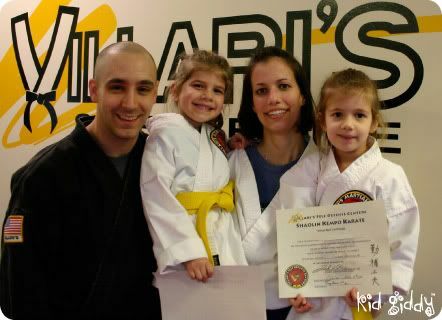 & both of my girls are Green w/ Brown Stripe too! 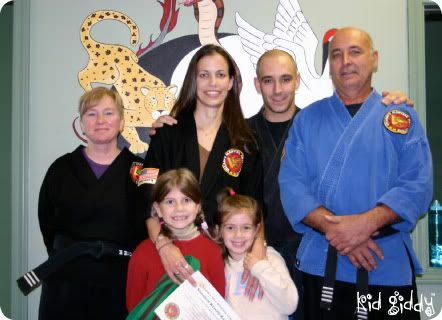 As I celebrate my new 2nd Degree Brown belt, I will continue that journey as I work towards my 1st Degree Brown belt and then my Black Belt. It won't stop there. I've only just begun. And so too, I will celebrate my Kid Giddy accomplishments (Crafts 'n things publications, and working with Anna Griffin) and continue on this journey as well. I'm looking forward to seeing where I will go and walking through all the doors Heavenly Father is willing to help me open. So where have you been? where are you now? and where is your journey taking you? Last year I coordinated an end of the year teacher appreciation gift for all the teachers in my daughters preschool class. With the help of all the students, I made these platters at a local paint your own pottery studio (Glazey Days) for each teacher. 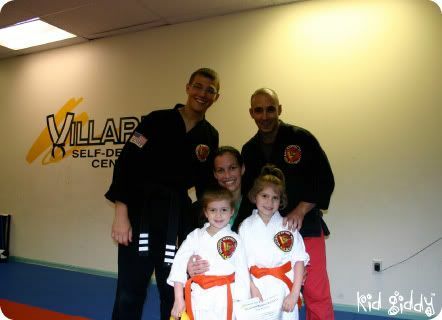 First I found out their favorite color(s), for their name and the year, and a coordinating color for all the kids names! 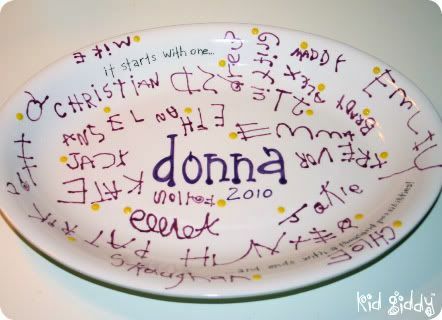 I initially had the students write their names on each plate with a pencil - but that proved difficult as some wrote really huge and I saw we would quickly run out of room. 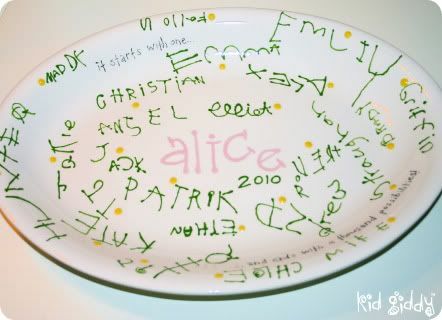 I quickly switched gears and instead, had them write their name just once on a piece of paper, which I later traced onto the plates and then traced with the glaze. I added a quote "it starts with one....and ends with a thousand possibilities" which is from the Montessori philosophy and included one yellow dot for each childs name, to represent the concept of the the "golden beads". I also wrote all of the teachers names in a lowercase font - because that is the Montessori way of teaching the alphabet (only lowercase first). 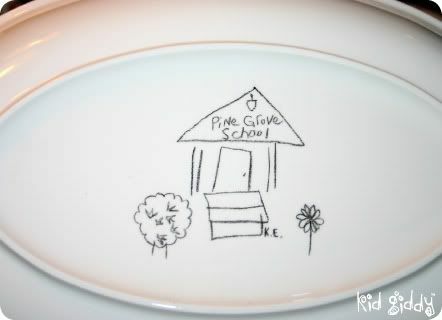 My daughter Elephant drew a sweet little picture of the school that I later traced onto the back of each plate. I thought it was a worthy keepsake and wanted to share the idea with all of you, in case any of you are looking for some ideas! 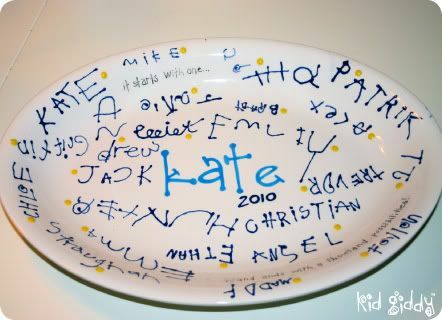 You could easily do it on a much smaller scale on a mug orice cream bowl as well. 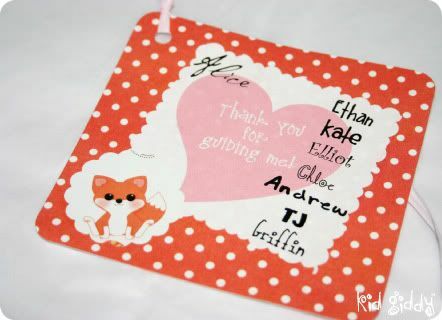 The last pic is one of the tags (I'm no scrapbooker - but I thought they came out pretty cute!) I made to include each child's name on the gift that participated in it, and each child/family was present to give the gifts to each teacher. I couldn't share this last year since it was done at the very end...and I'm not sure what we are doing this year - since I still have a couple of weeks remaining!